You wish to hire an expert interior designer because you want to make sure that your flat should be designed and decorated according to your needs and within the budget you may have allocated for interior designing of your flat. Obviously you have to find the best possible expert for the interior designing and decoration of your flat and that’s what I want to discuss today in this post. I want to share a few tips to help you find best home interior designers in Delhi who can convert your empty flat into a sweet home. Starting with an unfurnished flat with just the putty on the walls and tiles on the floor is not all that easy. You need expert advice and opinions to decide where to put a wall painting and what kind of light you should buy for the living area. Which color is going to complement the entire theme and what kind of texture will improve the aesthetic of the painting of your house. Taking opinion from friends and family member is one thing but taking opinions from expert home interior designers in Delhi who may have cumulative experience of designing hundreds of home and flat is a different experience. Undoubtedly, a professional home interior designer can make all the difference in planning, sourcing and execution of the entire interior designing project of yours. So when you decide to hire an interior designer then what’s the best ways to find and hire home interior designers in Delhi? Here are the various ways to find and hire home interior designers in Delhi NCR or anywhere else for that matter. But what do you need an interior decorator or an interior designer? That’s too confusing, but trust me both are not same and there are some differences. I am sure you have heard of these two words many times and I have seen people confuse between them and hence though to clarify this in the first place. So when you plan to renovate your house and replace just a few things here and there then you actually need an interior decorator. Interior decorator can help you in furnishing and redesigning your home where most of the décor is already done. They can help you with decoration and furnishing kind of things. But when you have a newly built empty space then you may need help from home interior designers who will be able to help you with entire planning and designing of space, including finishing and furnishing. Making small alterations, space planning and utilization, tweaking plumbing, electrical and civil works etc are the key services they offer. Over a period of time social media have changed the way we live today. Did you know that you can use your social connection to find home interior designers in Delhi as well? In fact this is probably one the best ways to find a service professional be it an interior, mover or a pest control agency. Why? Because your friends or colleagues won’t recommend you a professional that they have used but they were not happy with their work. They will always recommend agencies that they found to be the best and if there were any issues, they would tell you upfront. And it’s anyway better to go with recommendations of interior designers than searching and hiring an unknown company randomly, no? But what if you don’t find any reference of interior designers in Delhi from friends and colleagues? You can take this concept to the online social network. Depending on which social networking site you use, you may like to ask your friends and circle members to help you with references of best home interior designers in Delhi that they may have used or know about. Alternatively, you can search for interior design agencies on social networking sites like facebook, linkedin, twitter, google plus, instagram etc. By looking at the business page of these agencies, you can get fair idea of which company is better from their peers and may be the potential agency you should look at for your interior projects. Contact them, send them a brief overview of what you are looking for and see if they would like to take on the interior design project and help you. If it seems like too much of work, we can recommend expert interior designers for free. 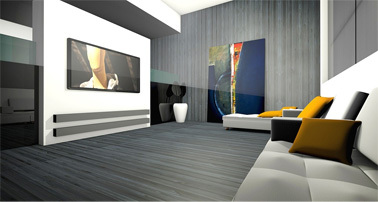 One of the best ways to choose interior designers is to look at their portfolio. Most of the interior designers would have their own website and they have a gallery or portfolio page that you can look at. I have also seen them carrying a printed portfolio of some of the past projects and this is probably the best way to judge the capability and expertise of an interior designing company in Delhi. Main purpose to evaluate portfolio of home interior designers in Delhi should be to judge the capability and relevant experience of the designer and verities of themes in their work. Obviously budget is an important part of it and you should know about it upfront. So when looking at portfolio, don’t just see the pictures, but look at the relevance with your projects and the kind of budget that specific client had for the project. We can help you find interior experts with loads of experience and relevance to your interior designing needs. 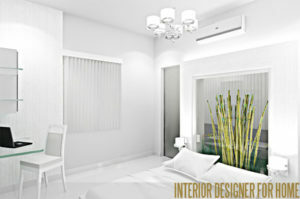 I am sure you have got plenty of ideas about where to find and how to evaluate portfolio of home interior designers. Same principals can be applied in searching and hiring interior designers and decorators for commercial interior projects. Now when you have a few options and you have evaluated their past work and got plenty of idea about the kind of projects these designers have handled in the past, you are good to finalize and sign the deal now. So what’s the final step? As you know your budget is important and hence it’s important to state it upfront if you have allocated a budget. If you don’t have any idea of budget or you are flexible with your budget then the best thing to do would be to take their advice and ask for detailed proposal for the entire project. Usually home interior designers prefer turnkey basis assignments which means they will take care of everything from start to end. You give them an empty space, give them a budget, and they would deliver you the fully furnished and finished home within the time frame. So here’s what you should finally before picking an interior designer for home projects. Number of iterations and alteration allowed. It’s better to put everything on the papers and have a clearly defined scope of work before signing the contract when hiring a home interior designer in Delhi. There are a number of home interior designers in Delhi but you need one who has relevant work experience to take on your home interior projects and finish it in stipulated time frame and under your budget. Just be a little practical when finding and hiring interior designers and look for portfolio of past work and you will be good to go. If you are still unsure and wish to evaluate some of the best home interior designers in Delhi then post your needs here to get started for free.